If you would like to be a more consistent volunteer, contact us! 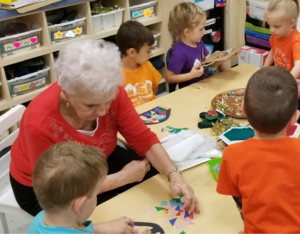 Our Preschool is a wonderfully busy place! Grace Families must complete 10 volunteer hours per year. We truly value the many ways our families add to our program! These hours can be completed off and on throughout the year, and are very helpful. We APPRECIATE all of our volunteers! !